Urban gardening: Will Romanians in future grow their own vegetables on Kaufland's rooftop instead of buying them from the store underneath? Kaufland is building a network of urban community gardens in Romania. The Schwarz Group-owned retailer is turning the roofs of its stores; parts of the car parks; and plots of land located near to schools into green areas to allow people to grow their own fruit and vegetables or flowers. According to a retailer statement, the project named Grădinescu, comprises nine such urban gardens in the Romanian capital of Bucharest. Three of which will be on the rooftops of Kaufland stores, two close to schools, and four within Kaufland's car parks. The investment in the urban gardens amounts to EUR300,000, according to News.ro. Those interested in growing their own plants can reportedly ‘adopt’ and cultivate a plot under the guidance of experts from the Association of the Research Institute for Permaculture. The gardens may also serve as educational spaces for kindergartens and schools. If it had been New York, Schwarz Group would have been the 47th company to roll out an urban garden concept. In London, perhaps the 18th. 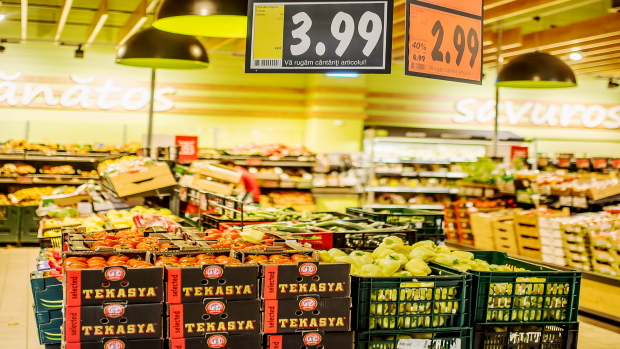 In Bucharest, however, it is very likely that the biggest grocer in the country – with sales of Kaufland and Lidl combined being double that of second player Carrefour, according to LZ Retailytics data – is very much the first to do so. It allows the retailer to appear innovative and it will possibly make the covers of some newspapers. The longer-term effect is the indoctrination of pupils; they and their parents will perceive the retailer as someone who cares about the local environment. Schwarz Group’s international presence has been a strength for many years – especially for Lidl – allowing the retailer to cherry pick the best from one country, make it scalable and roll it out internationally. This applies to both its own ideas and its competitors’ ideas; from pure marketing initiatives (such as XXL weeks, Super Saturday, the Super Five, which very much resembles Aldi UK’s Super Six) to entire category concepts. The instore bake-off station, for example, was surely not invented amongst the discounters by Lidl – Rewe Group’s Penny had it long before – but it was Lidl who perfected it and rolled it out across 10,000 stores. Many retail managers and discount specialists alike were disconcerted as they puzzled over the cost structure of the venture. However, in doing so Lidl had created a USP in the sector and increased the competitive pressure to innovate, meaning that all others had to follow suit. Also in Romania, Kaufland recently erected a tent to sell the best of its ranges in a holiday destination, where there is no Kaufland store as presumably it wouldn’t pay off in such a small resort. It got some decent press coverage about it, also here. Sister company Lidl is very busy this summer in accompanying music festivals in various countries. It is not just that the Lidl brand will be associated with young and trendy events, but will also act as a financial aid for cash-strapped younger festival goers. Note that this is not pure gimmick, but plays into the very core of the discount concept: the low-price refuge in an environment of overpriced temptations. The Romanian Business Review quotes a calculation which claims that the average individual spends RON1,209 (EUR265) at a festival. Lidl, consequently, did not only put up a sales tent, but also stations for do-it-yourself barbecues at the Electric Castle 2017 festival, with approximately 40,000 visitors. The discounter was thanked on social media for being the destination for affordable food and drink. No wonder Lidl – and Aldi Süd, and Rewe Group's Penny – have been serving festivals in various countries for many years. Later this week, Penny will extend its presence at the Parookaville Festival from one pop-up store last year to three, including a kiosk and a 'Basic Store'. What’s worthy of mention is that the festival pop-up stores, rooftop gardens and several other initiatives from Schwarz Group Romania create highly emotional contexts for their beneficiaries. The high thrill of your favourite live act gets amplified by a barbecue at Lidl; and picking the strawberries you planted with your class one summer evening on the Kaufland roof is bound to create fond memories. Emotional associations like these are easy for retailers to reactivate when a shopper has to choose between it and other brands. Even if other retailers invested millions in preserving the rainforest, shoppers will be more likely to draw upon their personal experiences (or word-of-mouth) with Kaufland and Lidl when forming an attitude. In this way, the Schwarz Group banners have really nailed the art of forming beliefs that are salient to shoppers. In these examples, shoppers will consider Lidl and Kaufland as hip, modern brands, for the Romanian people and its local environment. Such initiatives don’t need to be expensive (even if Lidl’s usually are). Kaufland’s urban gardening initiative isn’t costly; especially as there is the suspicion that for environmental and energy saving reasons, a green roof is not only advantageous but even mandatory by sustainable construction standards. Retailers and suppliers can always learn from observing others – and not just their competitors. Do you have a dedicated team of idea scouts? If some can take urban gardens from New York to Bucharest, what can you take where? With contributions from Daniel Johansson, Retail Analyst.